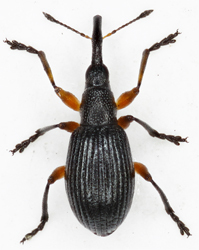 The 85 or so British species, formerly included within the genus Apion, are now split into genera. 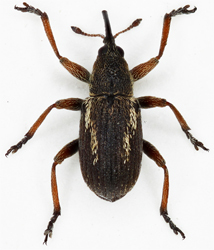 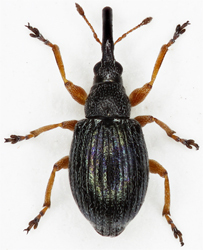 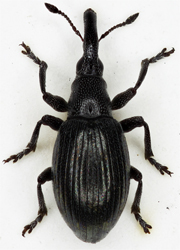 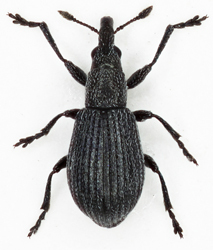 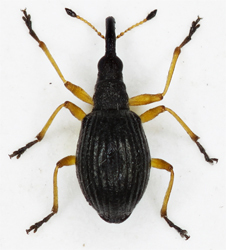 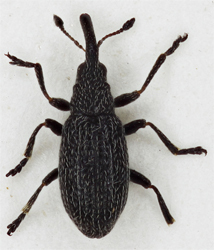 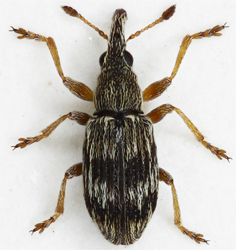 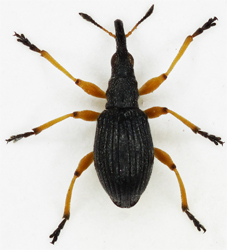 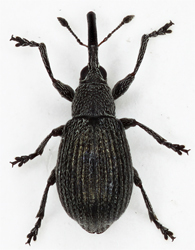 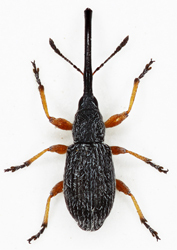 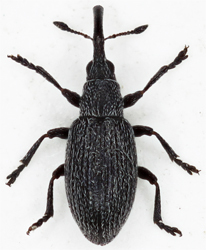 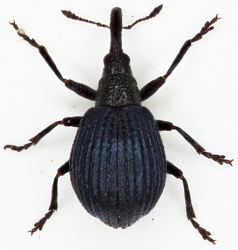 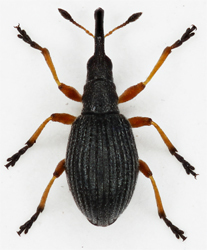 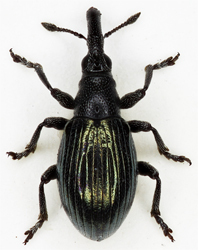 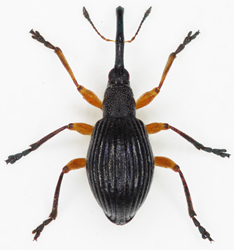 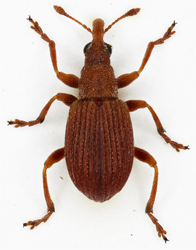 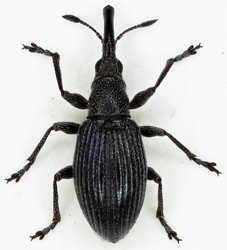 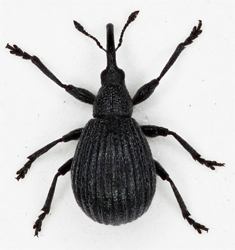 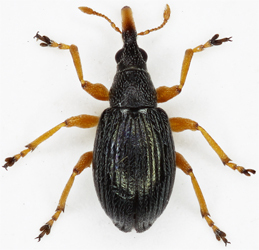 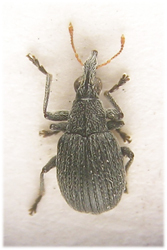 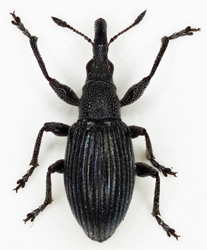 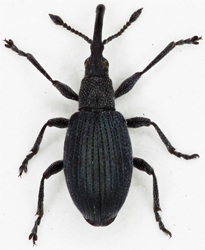 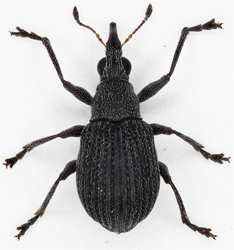 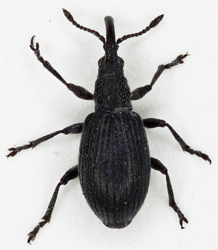 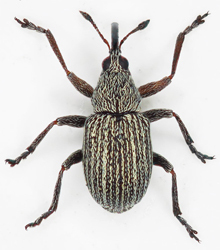 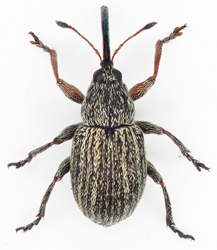 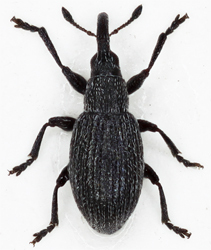 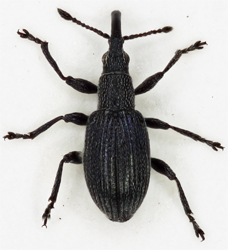 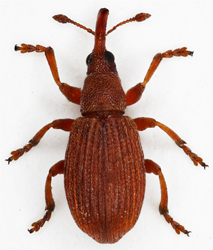 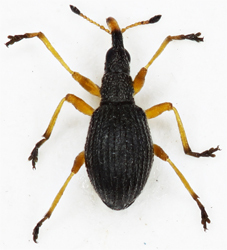 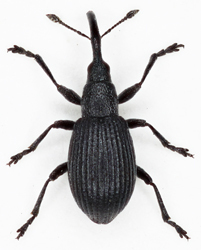 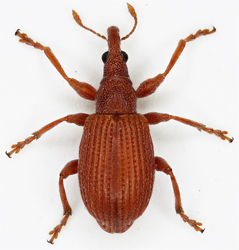 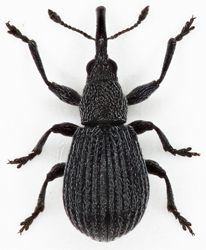 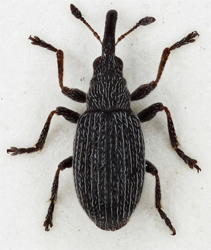 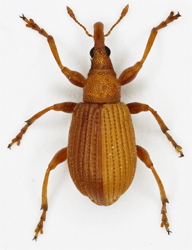 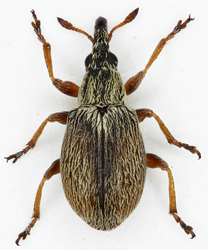 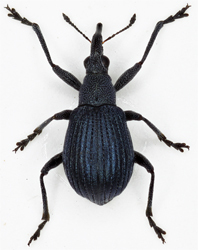 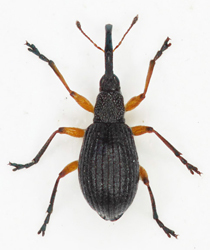 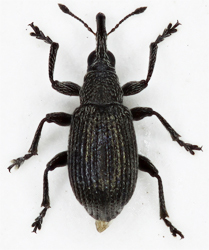 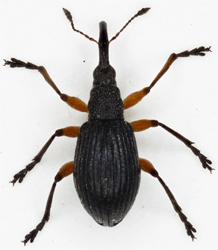 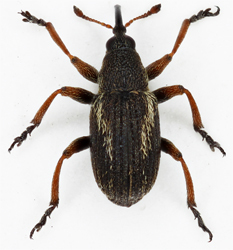 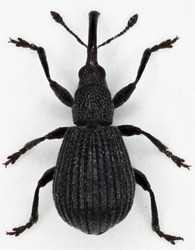 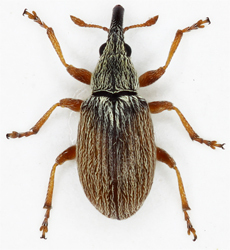 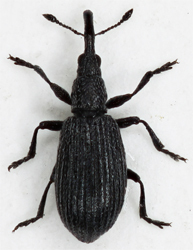 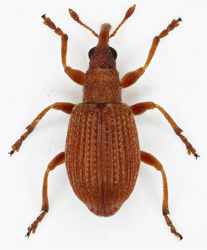 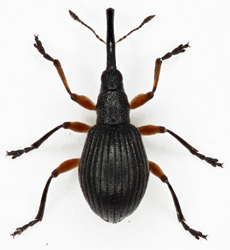 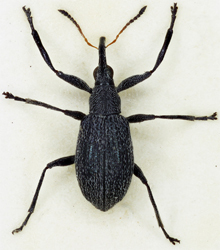 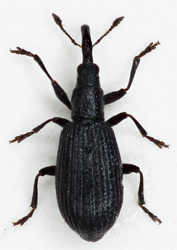 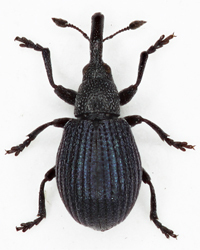 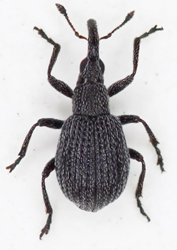 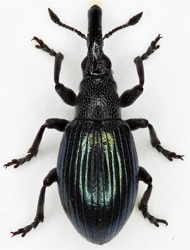 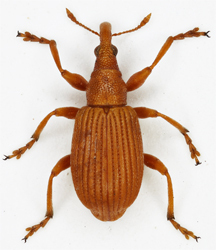 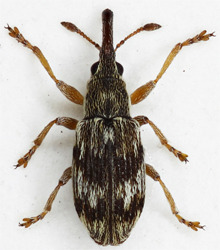 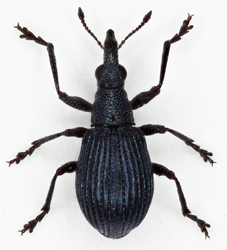 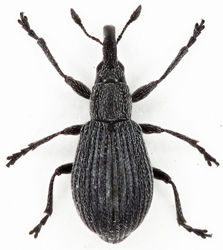 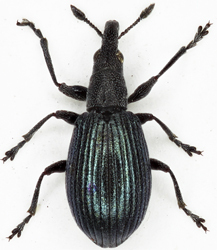 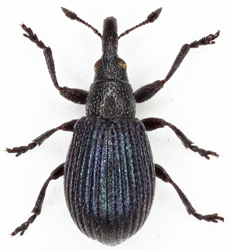 Whilst various other groups of beetles may be mistaken for weevils in general (curculionidae), the Apionidae are distinctive among the British fauna and are unlikely to be confused with anything else. 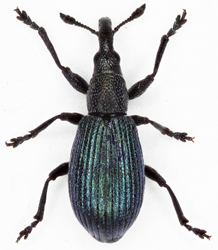 Often brightly coloured and sometimes metallic many species or species groups can be identified in the field. 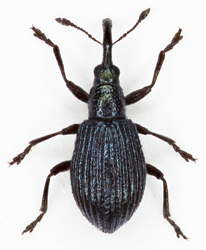 They are commonly found by general sweeping but working close to the ground among herbage or turf is often very productive. 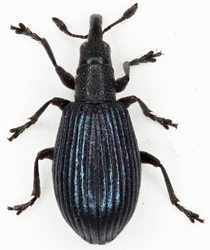 Most species are monophagous, occuring on herbaceous rather than woody plants. 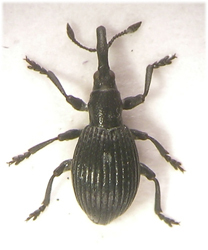 Usually a particular part of the plant is attacked. 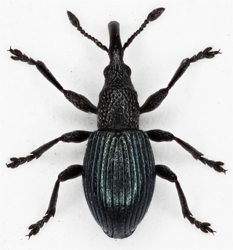 An excellent summary of hosts is given in Morris and equiped with this information many species can be found via their foodplant. 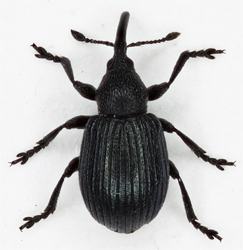 Beating and bagging are very effective indeed, in any case where possible a note should be made of the host as this is often valuable for ID purposes.